Cupcakes 'n Daisies: 500th Post! My 500th post, who guessed I had so much to say. For weeks I've been pondering what this post should be about, a list of my top 10 favorite posts, my top ten favorite quilts, then I came up with this idea, for my 500th post I thought I would answer the question I get asked most often, "Thelma, where do you store all your quilts!" I don't know why I get that question, but it pretty much comes up with every quilt I finish, so today, you will find out where I store all my quilts. I enjoy decorating with my quilts and it's not work but fun every month or every change of season when I put some up and get different ones out. Each quilt is special and usually brings out fond memories of when I made it, or where I got the fabric, or something. I'm getting close to 100 quilts, but I don't have all those quilts, about half of them live other places, but here's what I do with the quilts that do live at my house. Underneath that quilt I store my Red and White Tribute Quilt and Bounce. 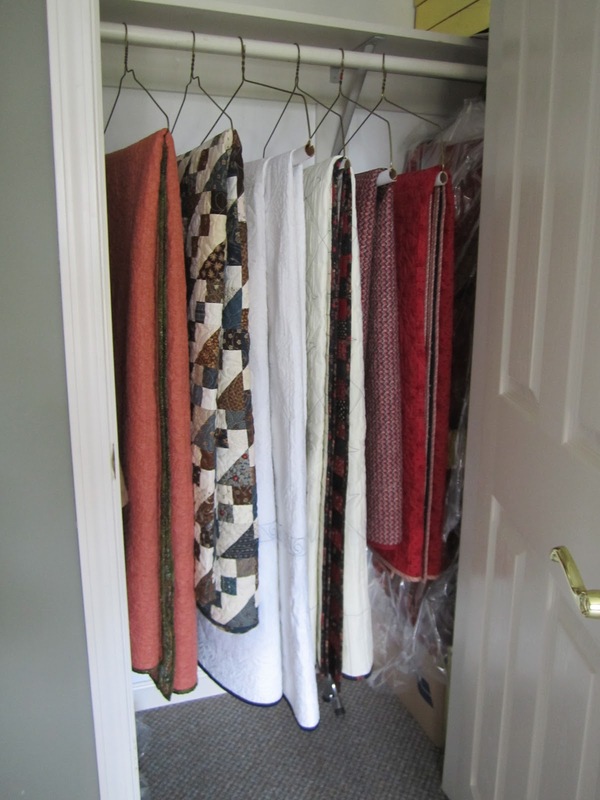 I store smaller or seasonal quilts in the closet in my daughter's bedroom on hangers. It makes it easy to get to them when I'm wanting a decorating change somewhere in house. From left to right, Lifetime Quilt Number 3, 74, 4, 69, 51, and 42. This closet is normally fuller, I have several fall quilts out right now. I always keep a quilt on the back of my couch in the family room, right now it's Lifetime Quilt Number 5. The quilt rack holds 4 quilts but right now just has 3 fall quilts on it. From top to bottom, Lifetime Quilt Number 18, 35, and 56. On this couch my husband keeps his quilt, Lifetime Quilt Number 19. I really need to make him a new one, one that better matches decor, and not a baseball team. This is my storage room, here I keep my kingsize and holiday quilts when they aren't on my bed. From the top to bottom, Lifetime Quilt Number 39, 65, 54, 28 and 13. These are the bags I use. 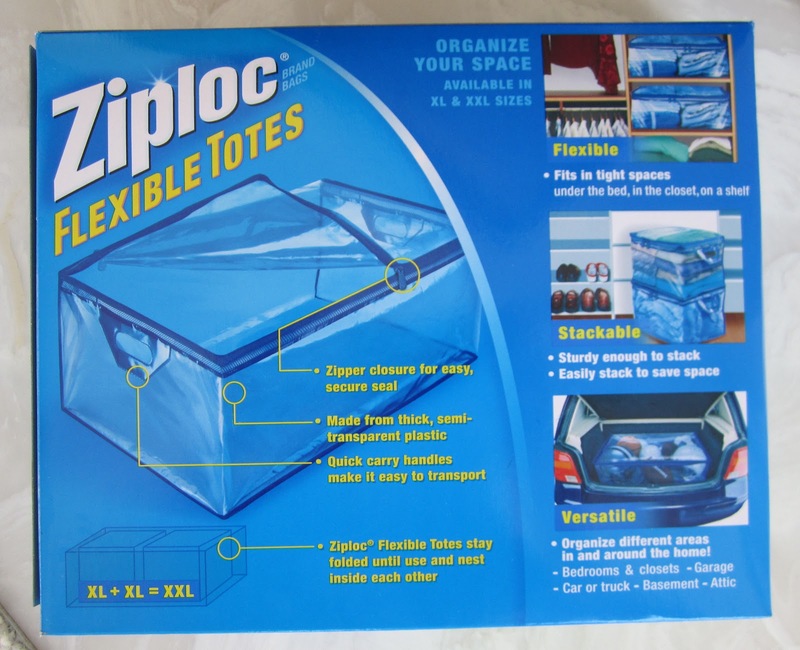 They're made of heavy plastic, zip close, and have an inch space around the top made with a nylon web to allow air to flow. I buy mine at Amazon, the ones in the storage shelves are the XXL size. I always have a quilt on my bed. I usually change it monthly. This is Lifetime Quilt Number 25. This quilt is also in our bedroom. Right now I have 3 quilts in the living room. I always have at least two, the one hanging on the wall, which I also change every month or so, is Lifetime Quilt Number 63. Lifetime Quilt Number 67 is always folded and stored in the coffee table, and right now I have Lifetime Quilt Number 50 hanging over the bannister for fall. This room gets a lot of sun so I change the quilts and refold the quilt in the coffee table often, so none of the quilts get damaged from the sun. This quilt rack is in the sunroom. These racks were made by someone in this general area, I have no idea who. From top to bottom is Lifetime Quilt Number 80, 87, 57, and 20.
and number 61 in the tv stand. And finally, Cooper's quilt is always on the floor, that's his place, meaning when I say, "Cooper go place", he runs to his quilt and sits. This room is nothing but windows so I'm swapping out these quilts and refolding them every month also. I should call this room the quilt room, 8 quilts in one room, I think I've reached my limit. This room has really high ceilings and an exposed beam, a quilt hanging from the rafters would be cool, hmmmm, something to think about, maybe 9 quilts would be ok. In the guest room you see two quilts, Lifetime Quilt Number 82 on the wall and 68 on the bed. Underneath the bed quilt I store 9 quilts, quilts that will be hanging from a rod so I don't want them folded. From top to bottom, Lifetime Quilt Number 60, 1, 81, 66, 30, 64, 53, and 79. No one has ever slept in this bed, but if company would happen to show up I could just fold and stack them in another room for a day or two. Believe it not, I have some rooms with no quilts, but at the rate I'm going, I'm guessing they may have some soon. So that's a total of 45 quilts. I have one in the mail, on the way home from the Machine Quilters Expo, 4 at quilters, and 4 waiting to be quilted for a total of 54 quilts. All accounted for, yeah! I would hate to lose a quilt!! So now you know where I store all my quilts, for the most part they are out and being enjoyed. I can't believe I've reached this milestone, I started this blog to talk to quilters, since no one in my family quilts and there are just a few quilters in my area, I was looking to find someone to talk quilts with, I'm so happy I found plenty of wonderful someones. I've become a better, more creative, and happier quilter since I started my blog. Thanks for helping me along the way. One thing I did notice when I was going over some of my old posts, I'm always talking about my feelings regarding my projects. There are 8 basic emotions, fear, anger, sadness, joy, disgust, trust, anticipation and surprise. I cover them all on a regular basis, sometimes all on one project. Have you ever noticed that,I just can't say, "here's a block", it's more like "here's a block that I'm afraid doesn't look right and I'm sorry I've spent so much time worrying about it but I trust some different fabric will result in a wonderful surprise that I will love". Somedays I don't know how you stand it, thanks for hanging in there through all my quilt drama, real and imaginary. What's a blog without comments, my favorite part of blogging and the way I communicate with fellow quilters, any time I want! I've had comments that made me laugh and some that were so sweet and thoughtful I nearly cried. I also enjoy the emails I get. Sometimes you learn more from the comments other folks leave than from reading my blog. I also like how some folks are able to tell me why I don't like something, sometimes I can't find the words, but there's usually someone who can. Here are a few funny comments that made me laugh out loud. Regarding the post where Cooper was wearing his Colt's football helmet, Dianne said, "has that dog forgiven you yet for making him wear that helmet"
Nicole had this to say about my Snowman Wool project, "Your snow people look like voo doo dolls with all those pins"
And regarding my yoyo production, or lack there of, "Thelma, you're going to have a busy weekend making the 1,450 yoyo's you need to meet my goal". Creativity doesn't stop with quilts with you folks. Thank you for that. I think a 500th post giveaway is in order, don't you? Since I've been blogging 3 years I thought I would giveaway 3 layer cakes, to 3 different quilters, because what's a celebration without cake? Your choice, if you can find an online store that will deliver to your address you're eligible. Just leave a comment on this blog, you have until end of day Sunday, October 28th. If you can't leave a comment just send an email. I love comments that make me laugh and I also like getting to know you better, so in your comment reveal your guilty pleasure, a TV show, food, song, activity, whatever, it doesn't matter, just fess up, we won't tell a soul! My guilty pleasures both occur on Friday night, my People magazine is delivered on Friday and I love to watch those "Say Yes to the Dress" bridal shows on TLC. That's how I spend my Friday nights, "reading" my magazine, yes I know, there's not much reading in People magazine, and watching TV. With the magazine I like to drool over all the lovely gowns the stars are wearing and catch up on the latest Hollywood gossip like they are family. I'm always hoping for a Kate Middleton or Daniel Craig picture, a perfect issue has both. While flipping through the pages of People magazine I'm watching girls from all over the world with the most interesting families try to find the perfect wedding gown. There's always some dress drama but most brides go home with a dress, and a lot less money, goodness, what some folks spend on a dress you're going to wear once. And now, TWO dresses are becoming popular, one for the ceremony and one for the reception! It's the biggest waste of time but the perfect way to wind down. OK, that's my guilty pleasure, tell us yours. 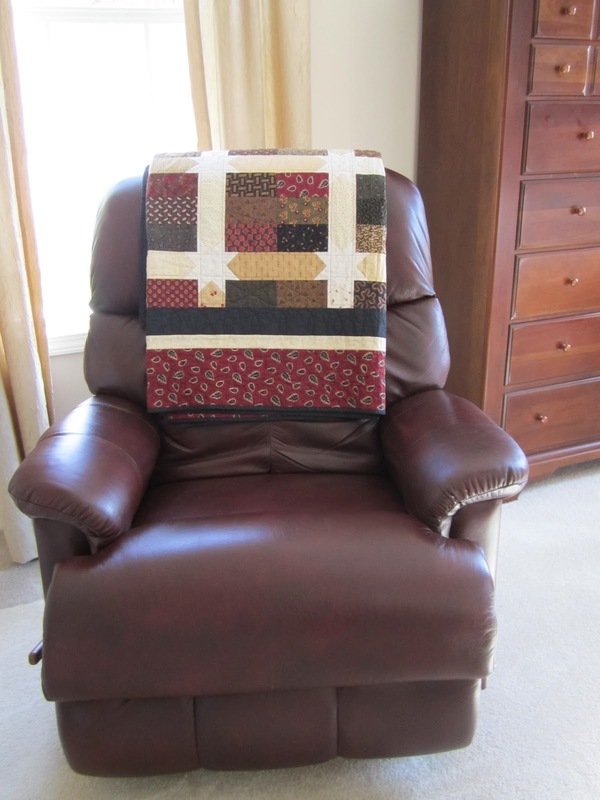 I LOVE your blog Thelma and enjoy reading about all your quilty adventures! My guilty pleasure is the Sister Wives show. I am embarrassed to admit it, but it's true. I love the idea of a community of women who raise their children together and support each other. Can't wait to enjoy your next 500 posts! Loved seeing how you store your quilts! I have no idea how I found your blog, but I'm so glad I did. You once mentioned that you make sure you quilt an hour every day. I'm trying that, but a half hour a day. Also, praises for you're accurate piecing skills are sung far and wide. Judy (Green Fairy) mentioned it when long arming one of your pieces. One day I hope to reach such perfection. Ok, rambling. You need to check out the blog 'What Kate Wore'. When the young royals did their Asia tour, every outfit was detailed and cataloged. Very good site. My guilty pleasure is celebrity gossip. The funny thing is, I keep up on all news especially international affairs so the juxtaposition of celebrities and world leaders can be funny to friends of mine. Whew! Long comment. Happy 500th! What a clever post! I am amazed at how tidy and organized you are and yet still have time to pump out the quilts like you do! Actually that's probably the reason you are able to...I really need to work on my organizational skills. Your quilts are amazing! I have to agree with you about the quilt on your daughter's bed; perfect colours for the white wicker. I love that you use your quilts...I have friends who store them away all the time (they don't want anything to happen to them) HELLO! My philosophy is USE THEM; ENJOY THEM! My guilty pleasure, is the time I spend on the computer, mostly reading blogs... Please count me in on the celebrations. Congratulations on your 500th post. I am so happy that I stumbled on your blog. It always brightens my day. I love that you share 'process.' That is what quilting is about. 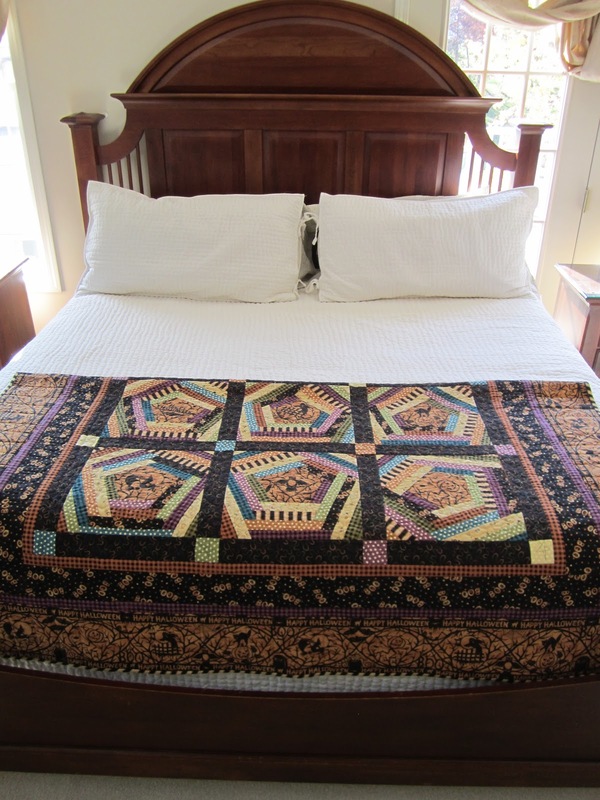 Thank you for sharing your photos of your quilts. You have a beautiful home, made even more beautiful with your quilts. You are very generous to offer the chance to win a layer cake. I always love cake. Congrats on your 500th post! I love your blog and the emotional ups and downs you post about sometimes make me laugh out loud. Cheers! Happy 500 Thelma! I can't remember how long I've been reading your blog but I've enjoyed every post. I love hearing about your process and how you change things up. And you know how much I love seeing your fabrics neatly on your shelf! It always tickles me when you tell us how many pieces a project has - I have a *bit* of an inner math nerd. My guilty pleasure is watching the Real Housewives franchise. I can't believe I put that in print! You really have some beautiful quilts. I have made so many over the years and give so many away to family and friends. They look beautiful around your house that makes a person just want to wonder around and and look at them all. Beautiful and I really enjoyed the tour. Thanks for all your wonderful posts. Congrat on the 500th. Sometimes I feel just a little guilty over having a 6' table set up in the middle of our living room, so I can sew at will. (It's easily taken down for guests, etc) But I think I feel more guilty about, wanting to get TV service installed in my sewing room (upstairs) so I wouldn't have to come down. (I even have a leftover dorm refrigerator that would work nicely.) Hummmm, it's sounding better all the time. I also enjoy watching "My Fair Wedding". You wonder how much is staged by the final product is lovely. Wow! 500! Congratulations! Don't try putting 500 candles on a cake to celebrate though! I love looking at all your quilts. I guess a guilty pleasure of mine would be just taking time to sew! My kids are younger so I try to sneak in a bit of sewing time when they are at school. I usual feel like there is something else that I should be doing around the house, but I try to take some me time too. Wooohooo! Congratulations! What a milestone! My guilty pleasure would have to be doritos and reality tv at 1 in the morning on the weekend. There is just something about doritos that pairs so well with whatever brand of real housewives might be on at that time of the day! P.S. my daughter and I both enjoy Say Yes to the Dress...and when she's feeling generous and willing to spend time with me on a Friday, we'll often watch it! My guilty pleasure is reading quilting blogs....you are number one. I talk about my favorite quilters like old friends: Well, Thelma says....... or Camille does.........etc. You make the most beautiful quilts. And you never back away from a challenge! I love your problem solving.....always turns out just fine! Your blog is one of the ways I start my morning before work. You inspire me to move forward on my quilting adventure. I have always loved the halloween quilt (my birthday!) you and Nicole have been working on! I think birthday money this year will go towards that purchase. Congrats on your 500th post. hi thelma happy 500th im so glad i found your blog i think you have helped me be a better quilter and im not afraid to break down a quilt pattern and do it i have to say im guilty everyday of reading your blog first with coffee then hoping the green fairy has something new to show then i work my way from there til finish 1/2 pot of coffee then i go do my run then feed dogs then quilt and hopefully i can fit in work and MAYBE an little house cleaning have a great day!! Thelma, what a pleasure it was to go along on your "quilt tour". If you'd ever like a reason to move all those quilts on the guest room bed I'd be glad to stop by for a visit. Of course, I wouldn't guarantee they'd all still be there when I left! Aside from you and a few other quilt bloggers, my guilty pleasure is "Swamp People". I'm a Cajun girl and have major crush on Troy. His voice is the sound of my childhood. Congratulations on your 500th post. Thelma, your quilts and the way you display them are spectacular. You truly are an inspiration. A guilty pleasure for me is trolling fabric sites and depositing in my cart fabrics I love but certainly do not need! Congrats on 500! My guilty pleasure - watching Dancing with the Stars... love, love Maks and his brother Val. Especially when the costumes are revealing. And this season, I'm casting all my votes for Gilles. As Ellis Peters said in one of the Cadfael novels, "The manifold gifts of God are there to be delighted in, to fall short of joy would be ingratitude." Hmmm, that quote pertains to our quilting too, doesn't it! Many happy returns to 500 more posts! A HUGE Congratulations on reaching such a fabulous milestone Thelma!!! And in SUCH a short time too!!! Thankyou so much for sharing your process and thoughts on your quilts in process throughout this time - it certainly makes it easier to feel comfortable with being uncomfortable (or pushing myself) in my own sewing! I would have to say that my guilty pleasure, and one that I usually indulge in daily, is reading my blog roll - and especially all the quilty & spiritually inspiring ones. I *know* I often do this a lot more/longer than I should most days, but it certainly lifts my spirits, challenges and encourages me to search for the joy in life. It often seems so easy to encourage those around me while everything inside me feels like it is crumbling ... and reading these, catching up with my online *friends* really helps me to see the joy and beauty in the world. It's like a refreshing drink of water!! Congrat's on 500 and hopefully that many and more to come..
Oh! - And THANKYOU for showing us how you 'store' your quilts!!! I LOVE how they are in use in some form or another for at least a period of the year!! ... Also, I am *in L.O.V.E* with your home!!! It is Stunning!!!! Gratz on 500 posts! I have enjoyed your blog immensely and inspired me to finally make my own faceted jewels quilt. My quilty pleasure is going into the fabric store, looking and touching all the pretty quilting fabric and walking out. Congratulations on 500 posts! 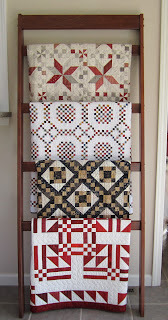 I loved the quilt tour (I'm really quite envious of your quilt ladders - must ask my dad to make me one for my landing!) and have decided that I need a bigger house so I have a spare bed to display quilts on! My guilty pleasure? Hmmm. I keep collecting red and white fabric for a quilt even though I know the quilt won't go with anything in my house, in fact it'll probably clash with everything in my house. I just can't stop myself though and I think I now have about twenty to twenty five fat quarters and half metre cuts - more than enough for a quilt! P.S. 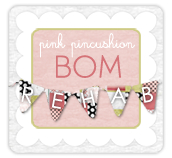 I love your blog and am so glad I found you! P.P.S. May I make a request? More Cooper, please! Your quilts are beautiful and so fun to see how you incorporate them into your home. My guilty pleasure is taking the time to read your blog and a few others each morning. I am so glad you post so nice and early. I enjoy the morning inspiration each day. Congratulations not only on 500 posts, but on all the beautiful quilts that you've made. I had to go back a couple times and really check out the pictures. I still love the red and white one that you did so much - probably my favorite. I suppose my guilty pleasure is just being able to sew and play with fabrics. I don't get enough time to do that - I always feel that I should be doing something else! Congratulations on 500 posts!Thank you for sharing all your wonderful quilts. My guilty pleasure is books - I love them and have lots but I don't think you can ever have too many!! I try to pass on some (fiction) to the charity shops which allows me to buy more!! Congratulations on 500 posts. I have so enjoyed following your blog. I love seeing your projects and the finished quilts. I loved tools on Tuesday. I guess my guilty pleasure is reading blogs after I come home from work. Your blog is one of those pleasures. Keep the posts coming. Congratulations on reaching such an incredible milestone. I do believe I've been here since the beginning and I've enjoyed every word. Here's to 500 more posts and 100 more quilts. Congratulations Thelma! Not only are your blog posts interesting, inspiring and creative, you bring so much honesty and transparency in your writing. You have been such a delight to get to know through your blog. Your work is incredibly beautiful. My guilty pleasures would be watching mystery DVD's while I sew and quilt. I have watched every Poiret and Rosemary and Thyme. I am working my way through Colombo now :-) I love a puzzle, just like our quilting, I love taking the pieces and try to figure out "who dun it". Oh by the way, I think we will all agree, it still should be T is FOR THELMA!! Great post, really satisfied my curiosity. I like the guest bed with 9 quilts, I have a bed like that at my house too; I call it the "oriental rug method" of quilt storage. Congrats on your milestone. I enjoyed reading about how you use store and display your quilts. My DIL was shocked when she started counting the quilts around my house - she stopped at 50! My guilty pleasure is watching the Real Housewives of New Jersey and New York. It makes me laugh to watch them taking themselves so seriously and not realizing that most of the country is just watching for a good laugh! Thanks so much for the in-house quilt tour! My guilty confession is that I have 90 UFOs hidden around my house. I dream of the day when my guest beds are covered in layers of FINISHED quilts and every room has a quilted project (or 9). You are an inspiration. Thelma, I would have sent this email even without a giveaway (but thanks for that.) I love your blog and have read it for quite some time - I LIKE when you express your emotions about your quilting projects, because, don't we all often feel the same way? Yours is usually the first blog I read every morning, and it makes a great start to my day. Your blog provides me with inspiration (I mean, if YOU can sew 1867 pieces together for 1 quilt, the least I can do is finish my Swoon! ), great quilting ideas and information (loved the Tools for Tuesday). Congratulations on your 500th post. Okay, here is my guilty (I first typed quilty) pleasure. I find that when I have choice of books to read, including one that is "good for me", I often select a fun book before the more informative, important one. Right now I have a number of books on my nightstand, including one about escapees from North Korea, and another about the cause of world hunger - both great books, I should mention. I find that I am picking up a Mary Daheim mystery to read when I have a few minutes, though. Congratulations Thelma! 500 posts! I love your blog and have learned so much from watching your process. My guilty pleasure...shhh, don't tell anyone....zombie and vampire movies. I can't get enough of them. Weird, I know. I absolutely love reading your blog! Congrats on the 500 posts! The quilts you make are always so beautiful. My guilty pleasure..trashy romance novels and a bag of chips!! Good Morning, Thelma! Quilt blogs would definitely be my guilty pleasure...and yours is my favorite, by far. I get my kids up and on the school bus, grab a cup of coffee and sit down at my laptop and see what you all have done since the last post. I have watched you now for two years, and look forward to each of your posts. Thanks for your inspiration that you have given all of us! Holy Moly! This post was candy!!! It's like people say when they are passing this life and walking towards the light...I hope every quilt I made flashes before my eyes...along with the family and the dog of course! lol In our new home I am going to have a closet just for hanging quilt! A friend of my uses large pant hangers the kind with the two pieces of wood that press together, leaves less of a crease then hanging over a regular hanger. Thank you for sharing!!! Congratulations on your 500th! I have been reading your posts for quite awhile and always look forward to it each morning. I'm always disappointed if there isn't a post that day! Your quilts are all beautiful and I admire how you stick to it. I make about two or three a year. I love the same shows you do and also get People magazine. I have to read "Star Tracks" immediately! How sad is that!!! I also love Housewives of Beverly Hills as my special guilty pleasure. I do have some culture in my life though, as I also watch Downton Abbey. Best wishes for at least 500 more! I look forward to them. Congratulations on 500 posts!! I look for you blog every morning and soooo enjoy reading what you have to say, the emotions that you are experiencing, etc. I refer to "my blogging friends" as if we are old friends and my "in front of me friends" wonder who I am talking about so I send them to your blog. Loved seeing the quilts displayed all over the house, I'm going to get some of mine out of the closet today. Some of these quilts haven't seen the light of day in years. Thank you for inspiring me to do that! My guilty pleasure is reading when I should be doing other things. Most of my reading is for entertainment, not to educate myself - except for my Bible and Bible study. I also love chocolate! Thanks for the virtual quilt show. That's an amazing amount of quilts you have made. You and I have similar tastes in quilt patterns, and I always look forward to reading your blog to see what you are up to next. Congratulations on your 500th post! That's quite a milestone too. I don't watch a lot of tv but I love Say Yes to the Dress too in any of its variations. Wow 500 posts and a house full of finished quilts---YOU MUST BE WONDERWOMAN!!!!!!! Your Friday nights are much different than mine! I spend Friday night in the bleachers watching high school football, listening to the band, and out to pizza afterward----Friday is always full of frenzy!!!! Such a yummy giveaway-----love cake!!! I wish I would have numbered my quilts as you have. What a great way of cataloging them. I've adopted storing some of mine on beds also, thanks to your example. I remember many of those quilts in progress on your blog, and it's been a delight to read your feelings - it has helped in my own quilting creations. Guilty pleasures: reading a romance novel while eating chocolate. My favorite candy bar is Milky Way Midnight, but I must confess to craving Chocolate Covered Marshmallow cookies and indulging in them about once a year. (And I love the movie Pretty Woman). Good Morning Thelma! I have coffee with you every Monday to Friday. Your quilts and technique and home are amazing. I love the way you are able to change and modify things. I have learned so much. My guilty pleasure is reading quilting blogs. They make me feel connected to other people and inspire me. I'm a big fan of your blog and stop by every day! 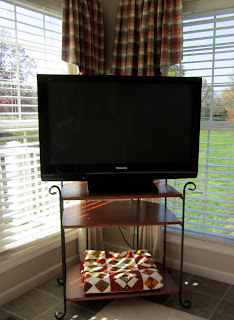 I "borrowed" your curtain rod idea and now proudly display my quilts in the same fashion. Thank you for that! I too spend my Friday nights watching "Say yes to the Dress"! I cry Every. Single. Time. The fact that I "well up" during each episode (even though I've been watching it for years and the plot never changes) makes me laugh at myself. Heck, I'm welling up now, just thinking about it! Thank you for continuing to blog! It is so much fun to read your posts and see your quilts. 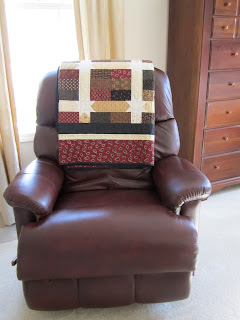 Thelma, I have enjoyed reading your blog since I started quilting again earlier this year. I love that you share your feelings about the quilting process. I think that's the best part for me - to know that everyone struggles with a design or fabric choice and that we can share our ideas with others! As for guilty pleasures, I love to bake and eat indulgent desserts. Thankfully quilting has kept me away from a lot of that recently and my waistline is thanking me! Thelma, I'm so glad you blog!! Today's post was a wonderful treat of quilts and ideas. How about 500 MORE??!! My goal is to someday be able to start making quilts that get to stay at home...I have 1 bed quilt and 1 lap quilt at home...sigh, but I do love to see the faces of the folks receiving my quilts...priceless. My guilty pleasure is reading quilting blogs early in the morning before I have to leave for work...brightens my mood and starts my day in a pleasurable way. Though I do have to remind myself sometimes to stop reading blogs and get busy quilting...grin..but I really enjoy reading your and Nicole's blogs...Thanks for the time and effort you take in blogging. It is greatly appreciated. Love your quilt tour. You showed ways to display quilts that i never would think of! My guilty pleasure is all the cooking competitions on the Food Network....love Iron Chef! I love Say Yes to the Dress too! Congratulations on your blog! Congratulations on 500 pots. I loved seeing how you display your quilts in your house. Thanks for the tour. You gave me some great ideas. I look forward to reading yours and Nicole's blogs each day. I have learned a lot about quilting from your blogs. i have become a more accurate quilter and have tried some difficult patterns. My guilty pleasure would be hiding chocolate from my family so that there is a secret stash for me. I also like watching Lifetime movies. Big happy milestone! 500... wow! Congrats! Thanks for showing us all of your quilts, how you use them, etc. I'm a person who says to use them. And congrats on finishing 1904! Candy is my guilty pleasure. It has been since my childhood. I'd take my $1/week allowance, ride my bike to the local drug store, and blow it all on candy. (Back when candy bars were a dime and penny candy was really a penny! )I's take my little white paper bag of goodies, pedal home, and stash it somewhere just for me. Sewing-wise, thread is my guilty pleasure. I loooove thread! There's something about those little spools and all those colors! Loved seeing all your quilts. Have you given any away? Or do you find it hard to part with them? Have been enjoying your blog for a while. Love reading these quilting blogs. I used to belong to a book club a while back. They would sit around and talk about the latest deep, intriguing, serious book they had read. Then I would go home and continue to read my romance novels. I guess that's my guilty pleasure. Nothing deep and morose. Nothing sad and full of angst. Just a "Calgon take me away" book! Congratulations on your 500th post. I hope you realize what an inspiration you are to all of us quilters out there. Congratulations on 500 posts. Your quilts are just fabulous. I never miss reading your posts. Very entertaining and of course the quilts are awesome. my guilty pleasure is anything peanut butter. Thanks for the chance to win. Wow 500! What an accomplishment!! I love all of your quilts, there has never been a single one that I've thought "meh" about! My guilty pleasure - um which one should I choose (confess)? I waste a fair amount of time on Pinterest and hopping around different sites drooling over fabric. It's a good thing there is only one fabric store in my town, or I'm afraid I would then have to hide fabric from my family! Here's crossing my fingers for that wonderful fabric! First I have to tell you how GORGEOUS your quilts are and that I love how you have them all over your house - they look wonderful and give me some great decorating ideas! I think my guilty pleasure is going to antique stores. I love browsing through all of the treasures and I am ecstatic when I find The One treasure I didn't know I couldn't live without! The only drawback is that we only have a few antique stores in my town so I only go a couple of times a year. I love collecting yellow ware (I have a total of one bowl LOL!) and embroidered pillowcases and I've found some wonderful 1950s pillowcases at the antique stores that I use on my beds weekly. How talented these ladies were that made them! Congratulations on your 500th post - I am a great fan of your blog and enjoy the quilts and your comments! Happy 500th, Thelma. I love that you shared your home quilt decor with us. I always wonder what people do with the quilts they make. My guilty pleasure is The Young & Restless soap opera. If I can, I watch it every day. Usually while doing a bit of knitting or cross stitching. And sometimes while sewing the binding on a quilt. It's always entertaining to see what the folks in Genoa City are up to. 500 posts - WOW! I love reading your blog, it inspires me to get back into my sewing room. ONE of my guilty pleasure would be how much time I waste on the computer - Pinterest, blogs, fabric sites... What in the world did I do before I began quilting and the invention of the internet? Congrats on 500 post! Reading through your posts about your quilts - quilt # 31 etc I couldn't believe I remember the progress of all your projects! I can barely remember the progress in my own life - yet every quilt I saw I was taken back to the posts about them. How much fun to have grown with you over the years and I have enjoyed all the progress you make! As for my guilty pleasure - I'm a TV junkie! Last night my only goal was to watch Nashville. I love this new show. Spending the day at work, coming home to little ones, with all the kids shows blasting - I love to curl up in bed at the end of the night and watch something I enjoy! I also hit up Pinterest, blogs, and People apps on my phone before falling asleep! Gotta get in the celeb gossip! Thelma - This was a great post. I have completed a few quilts and often wonder what to do with them. I live in an older house with lots of woodwork and don't have a lot of wall space. I don't really have any "guilty pleasures" but I think I have some ADD. Whatever project I'm working on, I'm always thinking about what I would rather be doing or should be doing instead. Consequently, instead of relaxing I'm often wrestling with the guilt. Thanks for generously sharing your thoughts and photos with us. Congratulations on #500! I had to laugh when you wrote that you love People Mag and Say Yes to the Dress! Those are my guilty pleasures too! Hubby thinks I'm nuts to be watching a bridal show but so intrigued with how much someone will pay for a dress. My own wedding dress cost $80 back in the day. Love all your quilts. AND I love how you have counted them. I might not comment too often but I do love your blog. Thanks! Loved the virtual quilt show, Thelma, and here's to the next 500 posts and 100 quilts! I have so many guilty/quilty pleasures that I hardly know where to start. Let's see: graham crackers with Nutella . . . buying (and fondling) fabric . . . champagne every Friday night . . . watching my favorite movies over and over and OVER again . . . ignoring my UFOs to start a new quilt or sewing project. Now that I think of it, I can indulge in every one of these pleasures today! just wanted to pop in and congratulate you on your 500th post! WOWZER...what an amazing fete! i so enjoyed the trip down memory lane seeing all your quilts and reading about each one~ certainly jogged my memory!! each one is a work of art and love, and so beautiful! here's to the next 500 posts~ "see" you on monday morning for #501!!! Hey, I have some of your quilts in my "to do" inventory, meaning I have the pattern and fabric, but just not the time yet. :) I love seeing how my virtual quilt is hopefully going to turn out. My guilty pleasures are enjoying a glass of wine after the kids are in bed for the night, calling off sick to work so I can feverishly crank out my last minute quilted Christmas gifts, and picking out all the black jelly beans from the assorted ones. I have only had the pleasure of your blogs part of this year so this truly is amazing to me. I admire all your quilts and appreciate you sharing them, and how and where, you use them with us. Thanks to Bob at Superior Threads for recommending your blog. I also want to say Hi to Cooper, give him a hug from me for being such a well behaved child. Most children I know would whine about being told "Cooper go place". Keep up the good work it is so inspiring. I've only "known" you for a short time, but remain in awe of the quilts you create--even one for Cooper; that's a devoted quilter! Can't wait to see your Halloween quilt; I'll be in Ohio with my grandson, but will definitely be popping in for the unveiling. CONGRATULATIONS ON YOUR 500TH POST THELMA !!!!!!!!!!!!!!!!!!!!!!!! I so enjoy reading your blog everyday :-D You are a true inspiration ! 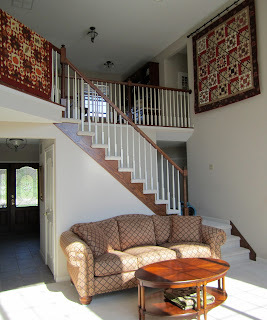 I really enjoyed seeing how you display your quilts in your home and how you store them. Congrats on your 500th post! I thoroughly enjoyed seeing all the quilts in your home. So pretty! My guilty pleasures are spending a way lot of time reading quilting blogs, some time on Pinterest and doing crossword-type puzzles in my puzzle magazine. I say, if that's what we enjoy and its not bothering anyone else, why not? I've enjoyed your blog for a long time and look forward to the next 500 posts. Congratulations on your 500th post Thelma. I believe that it won't be too long in the future before we celebrate your 500th quilt! I love reading your blog, you inspire me so much. It is also fun to get to know a person I have never met. One of my dreams is to some day run into you and Nicole at a retreat or quilt show somewhere. My guilty pleasure is sneaking in a little nap on the couch in the afternoon. I figure that way the quilt on the back of the couch gets used! WOW Thelma, that's a lot of posts and a lot of quilts!!! I hope I have a big pile of quilts like that someday! My guilty pleasure TV program is Dancing With the Stars. It is so corny, but I gotta watch it! I also am the biggest candy face-I especially love good dark chocolate. Thanks so much for the sweet giveaway. Love this post and tour! You are so organized and your home is lovely o:) My guilty pleasure is watching the Real Housewives (I'm so embarrased o:)) I like NJ and Beverly Hills. My husband always rolls his eyes when he walks by the sewing room and it's on - LOLOL! Hi Thelma, I love your blog! 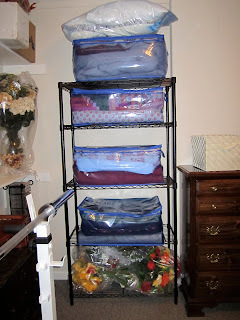 It was fun to see how you store and show your quilts. My favorite not-so-guilty pleasure is quilting. I don't watch TV, but love to spend time quilting. Congratulations! My guilty pleasure is reading quilt blogs. I love seeing so many of your quilts! Thanks for the giveaway! Great post - just loved seeing so many of your quilts? Wondering if you have a favorite? Don't watch much tv, but love baseball & am enjoying the World Series. Always a bit of an adjustment when the season ends - still a tomboy, I guess! My guilty pleasure is snatching half an hour to read while my elder daughter is in ballet class ... I don't get many chances to just sit and read a book so I savour every minute! I love Strictly Come Dancing too (UK version of Dancing with the Stars) and my guilty food pleasure is a Peanut Butter KitKat! What a great 500 posts - I have enjoyed them all - and what a joy to see all of those quilts put to good use all around your house! Hi Thelma! Well, my guilty pleasure is getting to sit down with a cup of tea and reading some favorite quilting blogs that inspire me! Was so much fun to read about how you store/display your quilts! My youngest is a senior now in high school and very soon I will have more time on my hands and look forward to making more quilts. I've been storing up fabric for projects (I guess that is another guilty pleasure - shopping for quilting fabric!) It would be so cool to have made all the lifetime quilts you've made! I hope to get going soon! I realized I do have 10 projects, big and little, that I've finished and UFOs waiting for me to get to them! So, it's a start! Thanks for the inspiration and all I've learned from you! I appreciate it! I always have to have a book or two in my "to be read pile." I get cranky if I don't know what I'm reading next. Same way with my fabric project pile. I have to have a couple of projects to anticipate or I get cranky. My guilty TV pleasure would be watching Gray's Anatomy. My sisters think it's awful that I watch it, so I just don't tel them I also am really liking Scandal & how it is so different each week. I also am guilty of eating 2 mini chocolate frosted donuts each morning. I figure you have to have some pleasures in life. Congrats on your 500th post. That is quite an accomplishment. Thanks for showing us around your beautiful house & how you display your quilts. Dear Thelma, it is unbeliveble where all over are your quilt!! I must learn something from you. I´m glad to read some Americans, Australian, English, Canadian blogs to know people on diverse side of world and learn something from them. And you also help me with this. Thank you. Thelma, gotta confess that surfing Blogs is my quilty pleasure...mostly blogs about quilting or crafting. Cupcakes 'n Daisies has been on my Faves list for 3 years. Coincidence? not all. Love your quilts, your pictures and your thoughts. Thank you so much for such a wonderful quilt show! You renew my spirit and creativity regularly. My guilty pleasure is Pinterest. I have built my "virtual house" there with all the furnishings and quilts I would love to have. Also-all the recipes I would love to try if my waistline could stand it. Congratulations on 3 years-you are daily stop on my blogs-thanks for being there. Thank you for the quilt tour of your home Thelma! I loved it! :-) And congrat's on 500 posts! I have enjoyed every single one! I am so glad I found you early on. :-) Guilty pleasure, hmmm, I have to say it is painting my toenails. Its a girly thing just for me. I don't like toeless shoes, so no one ever sees them, but I like it just the same. LOL Have a happy weekend! And thank you for the fun! The perfect day for me is when a quilt magazine arrives in the mail. I subscribe to several and they do not arrive on the same day, thank goodness. With my dog, Aldebaran, on my lap and a diet coke beside my chair, I "dream away". That expression "So many quilts, so little time" describes me. I can always find a featured quilt that I love. It certainly was the same feeling when I began to read your blog earlier this year. The quilt was the Red and White Tribute. Great design!! Thanks, Thelma, for a great read each morning with my breakfast. What a wonderful "tour" through your home, Thelma! Thank you for indulging us. My guilty pleasures ..... hmmm, I guess I should choose one that is not shared with all of the lovely ladies here which would be the obvious one of going to quilt stores and fondling all the luscious fabric. So other than that, I love to bake. My weirdest guilty pleasure would be that I always make double the amount of pie crust. What doesn't get used in the actual pie gets cut into cracker sized pieces and baked on a cookie sheet. There's nothing better in this world than pie crust! Thanks so much for the tour of your home and your quilts! Congrats on your 500th post! I enjoyed the tour and learned a few creative ways to store quilts! That's what I like about your blog... I learn things from it! Guilty pleasures... buying fabric when I have plenty in my stash, and spending an entire Saturday in my sewing room, wearing my pj's. Don't tell anyone! Way to go Thelma on 500 posts! And thanks so much for sharing your beautiful quilts. Hmmm, other than my fabric addiction, my guilty pleasure would be thrift store shopping! I love re-purposing things...be it furniture, linens, frames, whatever, I see something that it can transform into. And that takes me to antique shopping. I love vintage, nostalgic items. Thank you for a chance at the give-away. Congratulations! I am impressed! And I love reading your blog - so inspiring! I am impressed as well with those who only have ONE guilty pleasure. I have a few too many - maybe I don't feel guilty enough? I love a hot fudge sundae or a big caramel apple covered with nuts when I feel the old sweet tooth acting up. My addiction to beautiful fabric is legendary (at least in my own mind)> I have been know to thoroughly destroy my Hancock of Paducah catalog with drool within a half hour of it arriving in the mail. I like to pretend money is not a factor and select all the swatches I love and design quilts and handbags from them. Need I go on? I'm totally shameless, I know! Congratulations on 500 posts! I always enjoy reading them and your finishes always make me wish I would have started counting my quilts, I have no idea how many I've finished when people ask. My guilty pleasure is old movies..even the "scary" ones aren't really that scary and the happy ones are usually so corny they make me laugh. It is a fun way to forget all the life stressors. CONGRATS! ON YOUR NEAT BLOG! MY GUILTY PLEASURE IS BUYING MORE AND MORE FABRIC BECAUSE THE QUILTER WITH THE MOST FABRIC WHEN SHE DIES WINS! THANKS FOR SHARING WITH US QUILTERS! THANKS TOO,FOR A GREAT GIVEAWAY! Wow, Congrats on 500 and all of your quilts!! They all look so gorgeous and meticulously done, of course! Thanks for inspiring me, writing an honest blog, with great research on your tools, fabrics, and techniques. I always want to work on what you're doing, but you're just too quick! 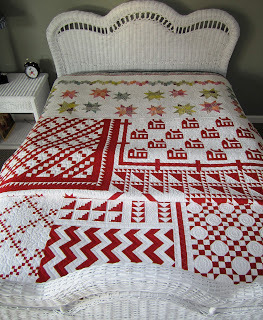 Did you see Nicole found another project to squeeze in between the 1904 quilt..too funny! I love that you bounce ideas off each other and us :) So guilty pleasure, would have to be reading blogs...I feel guilty because I should be sewing instead of reading :0 of course I'm also a diet Mt. Dew fiend, so that's bad too :( Thanks for blogging and here's to 500 more!! Congratulations on your 500th post! I think that your red and white Tribute Quilt is probably my favorite so far. Do you have a favorite or do you find it like picking favorites among children? My guilty pleasures are Godiva Salted Caramel Bars and watching NCIS on Tuesday nights. Such hunky men across all age ranges! First, congrats on 500 post .... think I have read them all! It was wonderful to see how you display your quilts. Looks like someone in your house is a Larry Bird fan! I remember one Christmas going to watch him play at ISU. You express what many of us quilters feel when we are making quilt so keep telling us your thought process, why you chose a certain fabric/color, love seeing how you organize your stuff, etc ..... we love it! It amazes me how you stick with one quilt and get it done, then move to another one. Guilty pleasure would be reading chick flick type books. 500 posts! I can't imagine what I'd say if I had to entertain people with a blog--but I'm certainly entertained by yours and I see I'm in LOTS of good company! Your quilts are masterpieces, every one!! My guilty pleasure is doing the puzzles in the 2 newspapers I receive every day. I don't do crosswords or find-a-words but all the rest: Cryptograms are my favorite, Jumble, sudoku, MathCross and any that are 'word' or number oriented. I often say to myself that I should be in my sewing room working on a quilt instead of puzzling but, well, I don't call it a guilty pleasure for nothing! Congratulations on your blog achievement! I always enjoy your quilts and your thoughts, and today, I especially enjoyed the tour of your "house of quilts". Every one of your quilts has been exquisite...you have such a talent for choosing fabrics and colors. As to my guilty pleasure, of course it is also Say Yes to the Dress! My daughter is getting married next summer and in August, she said yes to the dress! No, it wasn't on the show, but it was at a bridal shop and it was so exciting for her and for us as she chose her dress. So now, the show is even more enjoyable, since we've been through the process! Thanks for the chance...very generous giveaways! 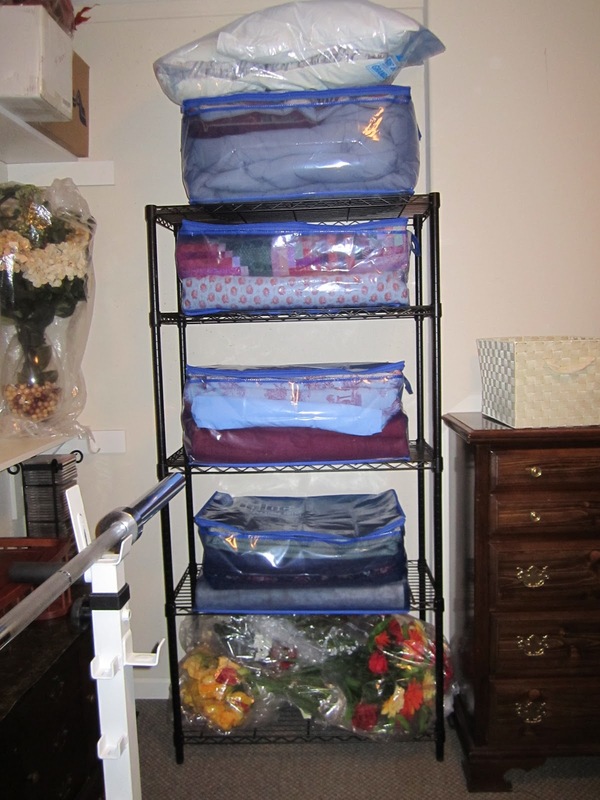 Congratulations, Thelma, on your 500th post, and for showing us how you display and store your quilts. Your blog is one of a few that I read daily. It is so interesting to watch your quilts as they are in progress. You have a good eye for color and design, and it is great fun to share with you each finish. My guilty pleasure, besides fabric for quilts, is Dove dark chocolate. Keep up your excellent work! Thank you for sharing how you decorate with quilts and how you store them I definitely need to get some of those containers. You're giving me all kinds of ideas for the new home we are building. Guess I better get started on some wall quilts instead of bed quilts......guilty pleasure......hhhhmmm, I guess it have have to be the chocolate I always have hidden in my sewing room, dark of course. And yes, Arlo says more Cooper please. I am so glad for each and every one of those 500 posts! It is fun to read your blog and to be inspired by your creativity. I do come and visit every single day, even on the weekends when you usually do not post! So, my guilty pleasure is an open bag of semi-sweet chocolate chips in the baking drawer and an open jar of peanut butter in the cupboard. Yes, it is sort of like the old commercial..."you got peanut butter on my chocolate!" "Well, you've got chocolate in my peanut butter!" Tastes perty good, some peanut butter on a spoon, sprinkled with chocolate chips. Happy 500th post and 3 years blogging. I truely enjoyed your in home quilt show. YOur quilts are wonderful! My guilty pleasure lately would have to be simply fabric purchases, as I have just lost over 40 lbs and am not allowing myself any sweets just yet. Congratulations on your 500th post! I've enjoyed following you ever since I found your blog. Your Tuesday Tools series was so informative and it seems as though every quilt you make causes me to want to make it too! My bucket list is ever growing thanks to you. My guilty pleasure...romance novels and ice cream. The perfect before bed relaxation. Thanks much for the chance at your giveaway. Guilty pleasure - well I drink more Coke then I should. not the healthiest beverage. And I probably spend more time on the PC reading quilty blogs such as yours when I shoudl be doing other things. Thanks for the giveway!!! Keeping my fingers crossed! Congratulations on 500 posts, and also on so many comments! I can't even get one some days on my blog. Your quilts are gorgeous! You have a lot to be proud of! Congrats, 500 posts is quite a milestone! My guilty pleasure would be dark chocolate! Happy dance for your 500th post! Keep them coming since we all enjoy hearing about your adventures! My guilty pleasures all revolve around reading... Reading my blog list is # 1, since I tend to read it at work! Lol! To my defense I read them over my morning tea. Also, I prefer reading romance novels and young adult books than the more adult fiction. Congrats Thelma! My guilty pleasure is reading all the wonderful quilting blogs out there in blogland every day while I eat breakfast. Yours included. It's one of the few ways I get to see what is new and exciting in the quilting world since there are not many shops in my area. Happy 500th anniversary! I love your quilts and I love to read your blog. I read it every day if I can. I even recommend your blog to others. My guilty pleasure is to watch tv series with strong women characters, like the Closer and Body of Proof. And quilting at the same time! Thanks for sharing where you keep all your quilts. My guilty pleasure is replacing all my old cheap scissors with new and better ones. Your blog is wonderful; keep up the good work. Thelma, you are wonderful. Congratulations on your posting milestone and thank you for all the sharing and insight you give to each and every project. Each quilt I make is a therapy session... and there is a lot of emotion going into each quilt. So, guilty pleasure? I love music and I have my ear buds in every chance I get to be alone... when alone on long trips in the car, my voice can get pretty sore! (I am a terrible singer) Second? ON Thursdays at work, the landscapers come... my coworker and I make sure we have a nice hot cup of Starbucks and sit back to enjoy men at work! Don't tell! I love reading your blog. Congratulations on #500. My guilty pleasure is watching The Bachelor and The Bachelorette. I try to have some appliqué in hand while I'm watching. Sometimes that's all I get done-just hold it in my hand. Lol. Congratulations on your 500th post. I really enjoy reading your blog and seeing what you are working on. I also appreciate your tips, suggestions and creativity. I would have to say my guilty pleasure is any reality tv show (well almost any, I tell my family I do have standards). My guilty pleasure is reading. It really wouldn't be a guilty pleasure except for the fact that once I start a book I tend to get obsessed and do nothing but read until the book is finished! So I kind of have to limit myself and not start a book when there is a lot to do. Congrats on the 500th. You have a very impressive quilt output and I always love reading your posts. My guilty pleasure is any of the Real Housewives shows and Say Yes to the Dress, both of which will send my husband running from the room. Wow Thelma, I think I have read most of your 500 posts and enjoyed everyone of them. Who knows how I stumbled across your blog, but I am sure glad I did. I love all your quilts you have made. you are inspiring and so productive. My guilty pleasure TV show is Big Bang Theory, its the only show that gets me to laugh out loud! That Sheldon is nuts! Of course there is also Criminal Minds and CSI that draw my attention too. I also love cruising quilting blogs endlessly. thanks for sharing your quilting life. Cheers to 500 more posts! thanks too for hosting a giveaway! Congrats Thelma.....My guilty pleasure is reading quilters blogs. There are times when I wonder why I do not spend that time quilting instead of reading blogs online. After some thought I realized i enjoy the sense of community that this hobby affords me. It is wonderful to be connected to such creative spirits. I also feel validated when I read about the emotions associated with some projects. I met you at Paducah. I recognized your red and white quilt and was in awe. When I saw you standing right next to the quilt, I felt like I met a rockstar! It was a joy to see you and the quilt in person. So I will continue reading what you write and know how much I appreciate it! Hip, hip, Hooooray!!! Big Congratulations on your milestone!! I am one happy person to have found you and think I have caught up with all 500 posts (well, maybe not all, but I do go back when you have referred to one) I was wondering if you number ALL of the quilts or just that of a certain size - like runners or smaller wall hangings? I sure enjoyed the tour of hiding spots and now I must go back and number mine. My guilty pleasure is watching Castle on Monday nights. I don't watch that much TV but it's always on, as the hubs is always listening to sports or news, so Monday is my one time. Just recently I was introduced to Talenti gelato .... super big YUM!!! Cooper is bomb dot com!!! He looks like a huge Sunny Boy - our maltese we lost a year ago. I can hardly wait to see the finished Halloween 1904. I have 3 quilts to start right after the first of the year - that is one of them. PS: couldn't sleep last night and surfed the tv until I saw the Duck Dynasty!!! Oh my - I was cracking up - didn't help me sleep but got some things off the mind! Hope you keep blogging for a long, long time, I really enjoy coming here! Congratulations on your 500th post and on creating all those stunning quilts! You ate a true inspiration. My guilty pleasure is salted caramel ice cream from Molly Moon. I have never been a big ice cream fan until my son started working at Molly Moon running the kitchen. Now, I absolutely love this delicious treat. Hawaii Five-O, Grimm and Sports, especially the Utah Jazz! Congrats on your 500th post. Love your blog! You do beautiful work. Thanks for sharing. Wow! you have some gorgeous lifetime quilts, Lady! I just discovered your blog and loved seeing your quilts in their special settings. My guilty pleasure is eating a bowl of Toasted Almond Fudge (Skondras) icecream and watching Daniel Day Lewis in "Last of the Mohicans" for the 100th and how many times. You are truly an inspiration.... thank you for sharing your time, your talent and your life! Congrats on your posts. Loved the tour and quilt show! I recently noticed that we have so many of the same patterns. The only differnce is that you are making them and I seem to be collecting them...My quilty pleasures are magazines...Especially this time of year with all the fall and Christmas issues...not only quilting, but cooking, decorating, etc......Have tried some on Nook, but just not the same! Can't wait for the next 500! Thelma, I loved seeing the quilts and remembering several that you blogged about. And I'm thrilled that you have been blogging this long; you are certainly an inspiration to me. Please keep up the good work. You are extremely talented, and it's always a pleasure to see you have posted something new. Congratulations on your 500th post!! I loved seeing your quilts in the rooms of your house. I think quilts all over a house make it look so loved! My guilty pleasure.....sewing when I should be cooking or cleaning!!!!! Ok, I admit it....I watch the Bachelor/Bachelorette shows. I know, I know, but I just have to liken it to watching a train wreck in sloooow motion. The star of the show runs head first into a relationship based on not much of anything and lets face it, their success record for the show is non existent. Yet, the eternal optimist that I am thinks, maybe they can do this....lol, right. Your quilts are beautiful and I am so glad to see them being used and rotated out instead of hidden away! Congrats on your 500th post! and thank you for the giveaway!! First of all Congrats on your 500th post! Amazing. I have been a reader for a long time. My biggest thrill for you was when your Red and White Tribute Quilt was featured in one of my favorite magazines. Then I knew you had "arrived"! ha In your next 500 posts I would love to see some more reviews of cupcake favorites. I liked the way you reviewed those but I haven't seen any recently (I guess you are too busy sewing and not out sampling cupcakes!). The only show I look forward to all week is Project Runway. Gee, I wonder why...they are designing and sewing! Some weeks I am sewing a quilt while I am watching and it is just so much fun to see their creativity blossom as I am plodding away on my own simple designs. 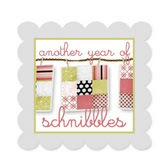 It has been a real treat to watch your blog evolve and to see you grow in your quilting abilities. You are a true inspiration. Thelma - you are actually one of the people that make it possible for me to have my guilty pleasure which is reading all my favorite quilting blogs. It may be for 10 min. with my morning coffee or an hour late at night, but I manage to get my quilt blog fix several times a week. I enjoyed seeing how you manage to store/display all your quilts. Thank you for blogging about quilting and being a valuable teacher. I learn something new & creative each time I read your posts. Can't wait to see what happens in the next 500! My guilty pleasure is watching WWE wrestling. I don't know what it is about hot men in tights beating the crap out of each other with chairs that I find so (what's the phrase I'm looking for?) TOTALLY AWESOME!!! Don't listen to my mom/dianne. I know ALL ABOUT the amaretto coffee and that is NOT the worst thing that she does. Do you want to know what it is? Star Trek. Yes, she is a Trekker (not a Trekkie - we won't even go there) and if she DOESN'T feel quilty about it, she OUGHT to. When there was a Star Trek exhibit at the museum (when I was just a wee lass) she drug me to it with her on a cold, stormy night. And she didn't check to see if there was enough gas in the car to get us there and back again. Which there wasn't. I'm just sayin'. I was away this weekend and missed your deadline, but wanted to say just how much I enjoy reading your blog, going through your quilt process, and seeing all your amazing quilts. You inspire me. It was great to see how/where you store and display them. Thanks for sharing! And congratulations on your 500th post. May there be many, many more. My guilty pleasure. Well, chocolate would have to be number one. And browsing quilt magazines is probably number two. Thelma, I was really happy to have discovered your blog. I love how you approach each of your quilts. You decision process is fascinating and inspiring. Just watching what you've done with each of the Memories of Provence blocks has been amazing. You've inspired many of us, I'm sure, to reassess how we approach quiltmaking. 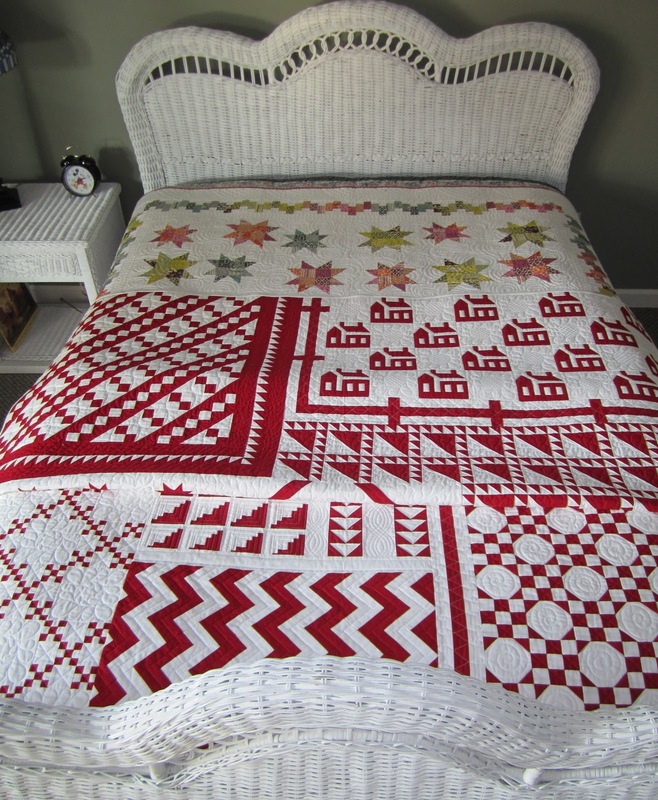 I totally love your Red and White Tribute quilt - that was a brilliant project. So, I want to first thank you for providing us with so much inspiration. My guilty pleasure? Well, I do a lot of handpiecing and embroidery, so I often put the TV on more for noise than anything else and honestly, Bridezilla is my guilty pleasure. That has to be one of the most bizarre shows and really only requires listening and chuckling. Congratulations on reaching 500 posts - they have all be delightful. What a nice giveaway honoring 500 + posts! I'll be back tomorrow to check out the owl and your Halloween quilt. Loved your spiderweb one you did last year it was I think. My guilty pleasure is when I am hurt or mad (especially at my husband) I tend to spend the day elsewhere and away from the home. 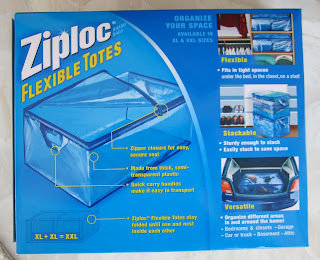 I keep a camping chair in the car, make sure I grab my current book or needlework, bring a cooler with beverages and perhaps lunch or snacks and just get away. I feel totally decadent spending a leisure afternoon, enjoying the outdoors with my hobbies without answering anybody about anything. What Heaven! Looking forward to another 500 posts and even more quilts.